A new study by University of Pisa found that eating dark chocolate with extra virgin olive oil improves cardiovascular risk profile. The study took 26 volunteers (14 men, 12 women) with cardiovascular risk factors such as smoking, dyslipidaemia, hypertension, or family history of cardiovascular disease. 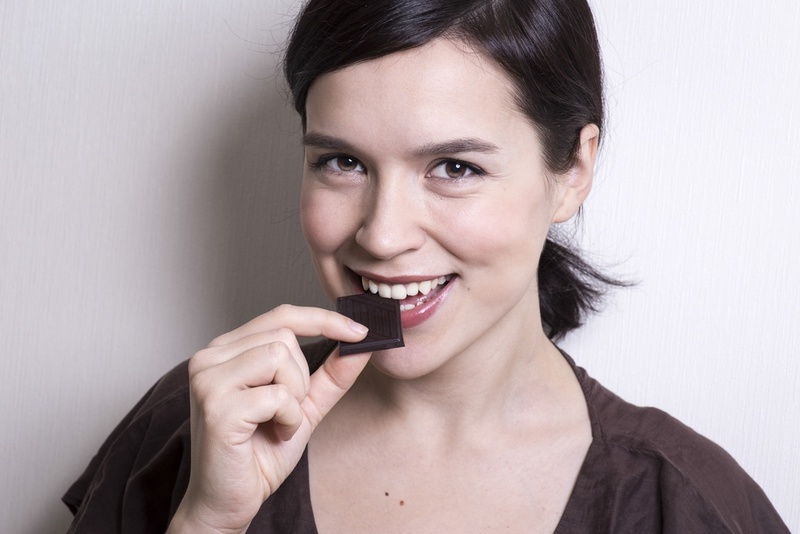 The group was given 40 grams of dark chocolate daily for 28 days. For 14 consecutive days it contained 10% extra virgin olive oil and for 14 consecutive days it contained 2.5% Panaia red apples. Dark chocolate, olive oil, and apple all contain polyphenols which are rich in antioxidants. After being administered the two types of chocolate, the participants’ urine and blood samples were analyzed. Circulating endothelial progenitor cells were evaluated while smoking status, body mass index, blood pressure, glycasemia and lipid profile were also monitored. Now you can combine two best foods to make the perfect combination of healthy goodness and not feel guilty. Read our posts about how to make nutella better and how to make chocolate olive oil glaze to make olive oil-healthy snacks at home!